There are three puzzles that you must tackle before your final challenge to earn your Kingmaker and start to rebuild your kingdom in Ni No Kuni II. No spoilers, but Ni No Kuni II: Revenant Kingdom eventually gives players an opportunity to build a kingdom from the ground up. Part of the process for this is earning the trust of a Kingmaker creature and the first part of this mission is to complete the Trial of Knowledge. There are three puzzles followed by a boss fight and we've got a breakdown of the puzzles in video form below. With each trial, players will read a portion of a tale about a boy taking on an evil dragon. 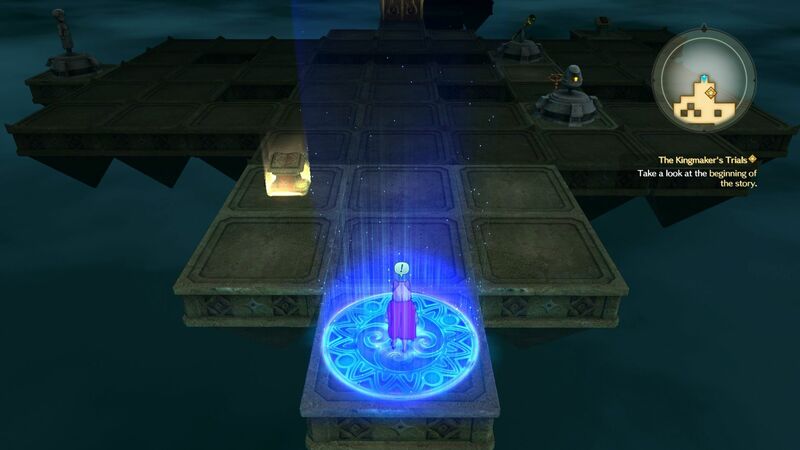 Each trial gets a bit longer, but you must pay attention to crucial parts of the tale to be able to traverse the puzzle in the correct order. You'll also have an opportunity to collect bonus items and all three of our videos include the correct path to collect all bonuses. We're still working on our full playthrough of Ni No Kuni II: Revenant Kingdom, so look out for the review and additional guide content in the near future.